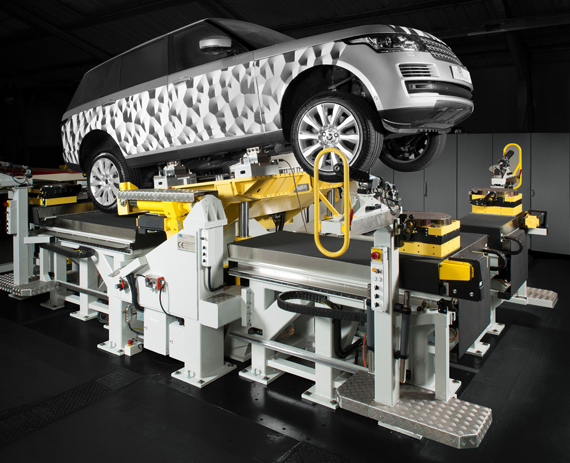 Leading manufacturer of machinery for the bread, biscuit and confectionery sectors, Baker Perkins, has chosen Kelston Screw Jacks for their new TruClean™ sheeters and gauge rolls. 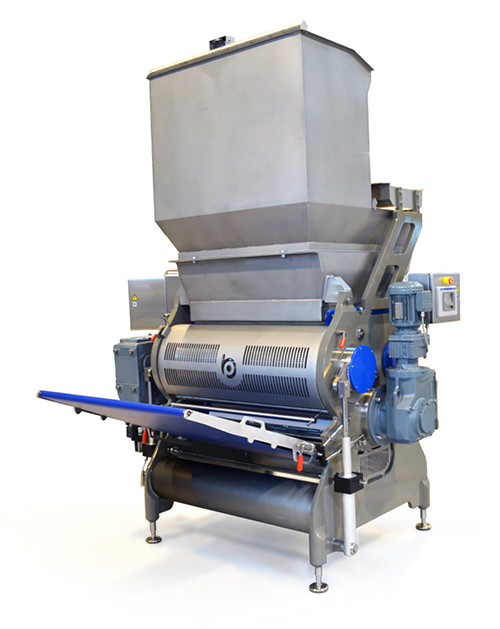 As part of the sheet forming and cutting process, a three roll sheeter (pictured) takes either a bulk or metered feed of dough and forms a compacted sheet ready for the gauge rolls. The sheeter three-roll arrangement provides optimum control over the size and condition of the dough sheet. Gauge rolls achieve and maintain the desired thickness of a sheet of biscuit dough. This is a key function in the forming and cutting process for crackers and hard sweet biscuits. 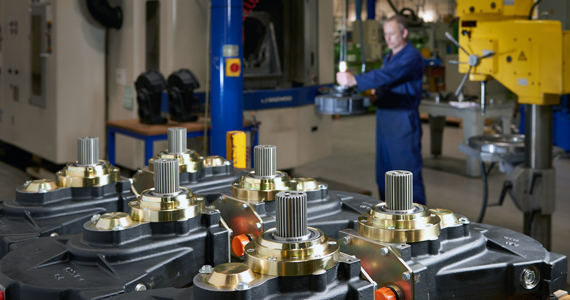 Repeatable precision is matched by low operating costs. The TruClean™ range is designed to meet the latest industry requirements for hygienic operation. Sheeters and gauge rolls each have a set of 2 mechanically linked Kelston Cubic Screw Jacks. The screw jacks are driven by a geared motor to accurately raise and lower an eccentrically mounted roll giving fine gap adjustment. Laminated and sheeted products are gauged to the chosen thickness, relaxed, and then embossed and cut before passing into an oven. Typically 1 sheeter and 3 gauge roll stations are incorporated in a biscuit line. Kelston Cubic Screw Jacks achieve and comply with these stringent specification requirements. 10kN and 25kN translating screw jacks have been custom built by Kelston to achieve the demanding hygienic and wash-down standards set by Baker Perkins. 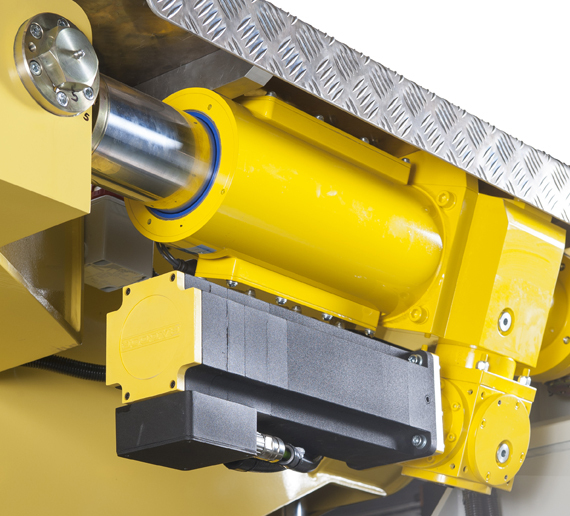 They feature double clevis mounting and Kelston’s unique screw cover design that encloses the lifting screw threads even when the jacks are fully extended. External parts of the screw jacks are made from 316 stainless steel and 6082T6 aluminium finished with a hard wearing matt anodising process. An array of six actuators perform linear movement on five different axes. 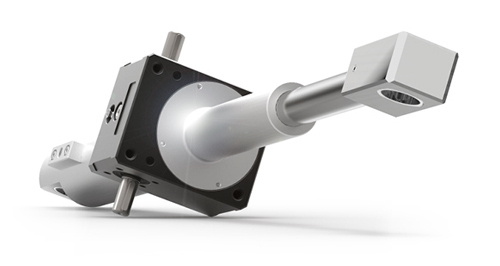 Each actuator is driven independently by its own servo motor drive. The actuators are fitted with positional control switches, which along with the servo motor, integrate with the SPMM control panel. Kelston is an approved gearbox supplier to Johnston Sweepers, a leading name in truck-mounted road sweepers. The V Range Sweeper uses a secondary engine, driving a Johnston fan drive gearbox (manufactured by Kelston) to create the vehicle’s suction power. 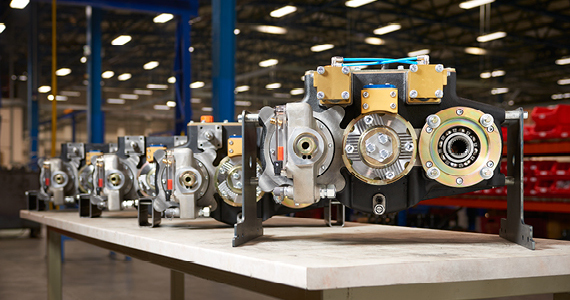 Unlike a traditional transmission system, a hydrostatic drive offers a continuous power curve and hence an infinitely variable forward speed control. Johnston's V Range hydrostatic sweeper model features a Kelston gearbox powered by the main truck chassis engine. Designed by Johnston specifically for road sweeping, its hydro-drive allows for cruise control and travel speeds up to 40 kph.